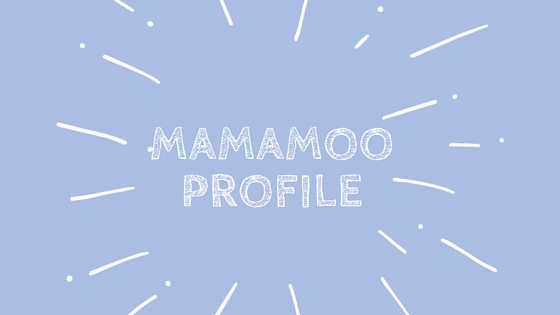 The Mamamoo Profile 2015 - OH MY KPOP! You have been looking for a complete Mamamoo profile for a long time and no website could satisfy your interest? We have been there as well. That is why we decided to gather all the available information about your favourite Kpop girl group in one place. We also decided to get a step further than just listing the members and some ordinary facts about them. Because we want to become the number one source for everything Mamamoo. Why? We just love the four girls and their music. So without further ado, lets jump right into it. Who is Kim Yong Sun? Lets look at the following seven things you should definitely know about her. Her stage name is SOLAR. Solar is the leader and main vocalist of Mamamoo. Her name in Korean hangul is written 김용선. She is a graduate of the Modern K Music Academy. Lets have a look at these seven very interesting facts about Moon Byul Yi. Her stage name is Moonbyul. She is the main rapper and dancer of Mamamoo. Who is your favourite Kpop rapper? Let me know in the comments. Moonbyul written in Hangul is 문별. Keep learning Korean. It is totally worth it. Byul means star in Korean. The third member of Mamamoo is Jung Whee In. 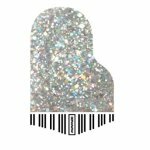 Are you curious which information we have about her? Keep reading. She was born on April 17, 1995 in Jinju. She is the lead vocalist and dancer of Mamamoo. Wheein went to J Music Vocal School. Her mum named her after a comic book character. Curious about the comic book character? She used to be a CCM trainee. Drawing is one of her hidden talents and hobbies. She likes mokbang shows. But who doesn’t like watching those delicious food shows? Last but not least. Here are all the information you need abut the wonderful Ahn Hye Jin. She was born on July 23, 1995 in Jeonju. Her stage name is Whasa. She is the lead vocalist and lead rapper of Mamamoo. Whasa in Hangul is written 화사. Whasa, just like Wheein, attended J Music Vocal School. She performed the song “Ice Ice” with Hyuna. Wow! Quite a lot of interesting stuff about the four wonderful members. But we have much more for you. Lets have a quick look at the band history and their music. Please check their official Fanpage, if you need even more information about Mamamoo. Mamamoo is managed by WA Entertainment and Rainbow Bridge World. They debuted on June 18, 2014. (Mr. Ambiguous) Check out the video below. Mamamoo played a concert near Hongik University, Seoul on the 5th of July 2014. They released “Piano Man” on the 21st of November 2014. In June 2015, they traveled to Mongolia to hold an event their. 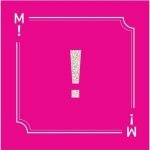 Mamamoo released their second mini-album and the song “Um Oh Ah Yeh” on June 19, 2015. The 1st Moo Party was held on August 23 in Seouls Olympic Park. You don’t know what a Moo Party is? Well, it was basically a fan meeting and the tickets were sold out within seconds. Lets just hope that there will be a second one in the near future. 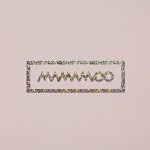 Is there more to say about Mamamoo and their band history? Definitely! And we will add more in the coming weeks, to give you an even better overview about the four girls. But for now, lets have a look at their music. Because that is the main reason, why we love them so much. Mamamoo has released three albums so far. And now lets get to the Mamamoo singles. You can find all the songs and videos through the links on Youtube. I decided to only include the videos of my favourite songs. Watch it here or above. This is our ultimate Mamamoo profile and we hope that we were able to present you some new stuff about the four girls. And just to make sure that you actually read the entire profile, we have one question for you. Who is the maknae of Mamamoo? Let us know in the comments. And please don’t hesitate to let us know what you think about our profile in the comments. Hi I’m fan of MaMaMoo. In Korea, Jinju and Jeonju are different thing!